Lily Sugar ‘n Cream Cotton, 235 yards total. Your finished basket will measure approximately 7″ in diameter by 4″ tall (depending how far you fold the top down). 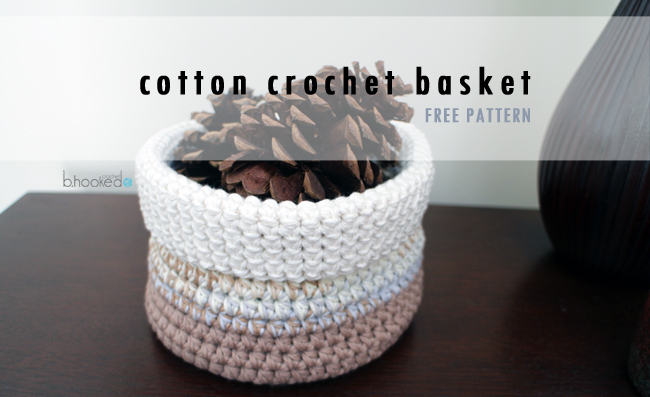 This cotton crochet basket pattern is worked in the round using two strands of worsted weight yarn for added bulk and strength. I used each end of yarn per skein, the end in the center and the end on the outside. This is slightly tedious, however, it prevents you from needing to buy two skeins of each color. Isaac Mizrahi is a wonderful cotton to work with. It’s easy on the fingers and is very soft. You can, however, substitute with any other brand of cotton that you have available. Acrylics and natural fibers may also be used but you may experience pilling or stretching with use. As of right now, this pattern does not include a video tutorial. I challenge you to step out of your comfort zone and try the written pattern and of course I will be here to help if you get stuck! Note: this pattern was originally created using Isaac Mizrahi Craft Brooklyn Yarn, (Bushwick, Carroll Gardens, Clinton Hill) 1 skein each color. This yarn line has since been discontinued. 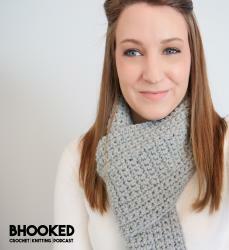 You can create this pattern with any worsted weight cotton yarn. Fasten off and weave in your ends. Fold the top down approximately 2″ or to whatever your desired size is. 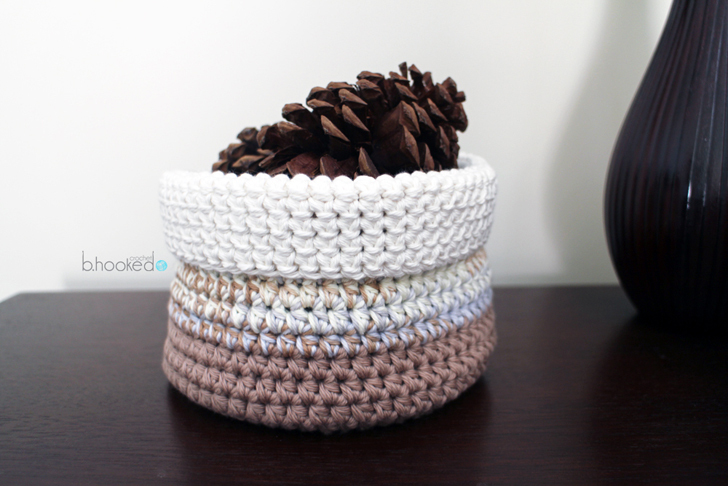 Hiya, Thanks for this crochet cotton basket pattern. I am a beginner and this is my first project. Can you point me towards a video for binding off, please? What is the weight of the yarn you recommended?